This landing page is our Gold Members, to view all our members in an alphabetical listing, click on 'All Members'. Bohemian fashion for the everyday gypsy. 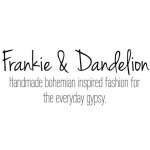 Stocking gorgeous labels as well as our own handmade range including: Freez IDS Frankie & Dandelion Lost Lover Hill House Designs Lost in Lunar Madison Square Anna Chandler Designs Sundays Times Ten Find us online, in store & at various markets. Agents for Livestock, Insurance and Finance. Call Curly or Tania today on 0438 845 968. Loxton Football & Sporting Club, home of the Tigers! Come and Join Us Thursday and Saturday nights from 6pm in the Sporting Club and don’t forget the Sporty for your next Function - Weddings, Birthdays, Fundraisers the options are endless! Committee: President: Mark Wright Vice President: Malcolm Fielke Secretary: Tim Kassulke Treasurer: Tania Golding General Committee Members: Mal Hahn Mark Thiele Wade Pritchard Tracey Reichelt Kelvin Lehmann Baker Holmes Patron: Rob Fielke Find us on Facebook at Loxton Football Club! PK & KA Reynolds provide a complete painting & decorating service to Loxton and the surrounding Riverland region. Give Paddy Reynolds a call today. 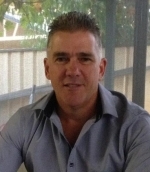 I specialise in providing insurance advice including Life Insurance, Income Protection, Trauma, Total Disability and Business Continuation Insurance. I use the majority of quality insurers and will provide the best cover at the best price. That's Graphic provides website design and development to small to medium sized businesses along with graphic design and print for brochures, business cards and other promotional materials. Producers of The Arnold Brothers Lemon Cooler Find us on Facebook at The Arnold Brothers! Production of television, radio and newspaper advertisements. Graphic design for logos, brochures, posters, signs. Media buying and scheduling, promotional strategies, websites. Assistance with management and allocation of media budgets. Whistling Kite Wines produces a range of quality biodynamic and organic wines whilst embracing traditional growing and wine making principles. We invite you to come and sit by the river and listen to the Whistling Kites call as you enjoy a wine or two at their new cellar door (open by appointment) or take a walk through their labyrinth.